I have continued to work on the holiday quilt that started with scraps. It's looking more complete now, although I still have to square up the blocks and get them sewn together. I thought that I would have more lime green pieces, but after sewing up the scraps I cut, I was surprised at how much turquoise/teal shades I ended up with. I guess I must like that color pretty well now too! 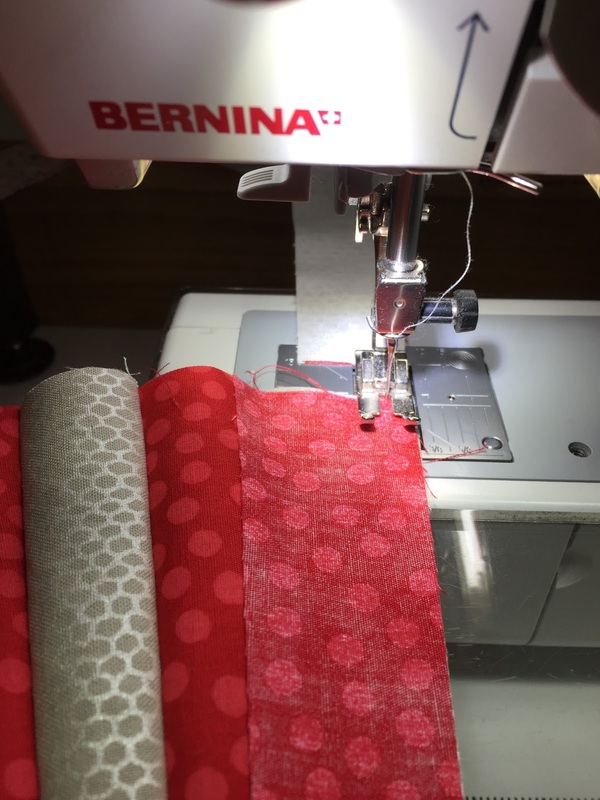 The technique from the pattern, "Chic Kisses" and the Quick Cut Ruler (QCR ruler) that is sold to go along with the pattern, make this block pretty easy and quick to sew. There is a bit of curved piecing and some guessing as to what size of block you might want, but other than that, most of the pieces are over-sized so that you get to trim at almost every step. I'm showing you my quick piecing technique, which is just stacking your pieces, then chain piecing. This makes things go so quickly that I have now completed sewing all of the pieced arcs! I thought this step would take me months and months. So, I am very happy! 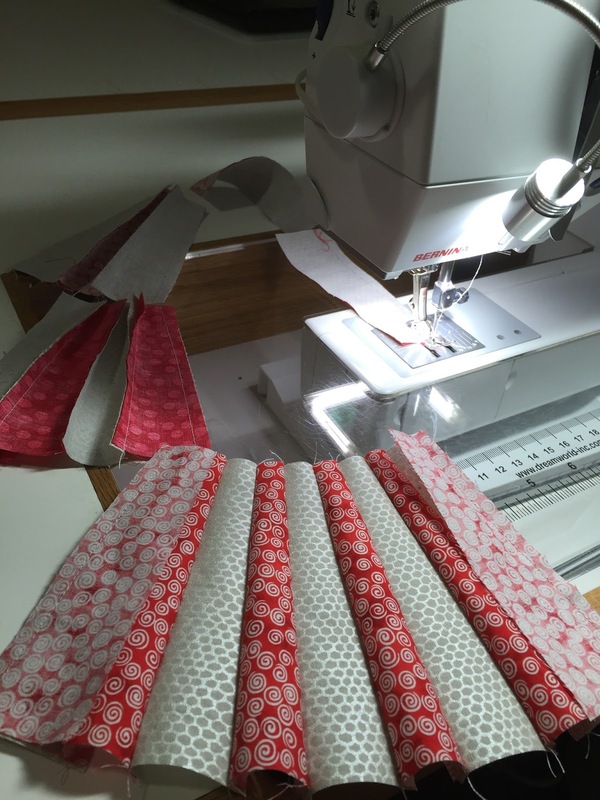 OK, so the first thing is to precut all of your pieces and stack them right sides up with the sewing side on the top. 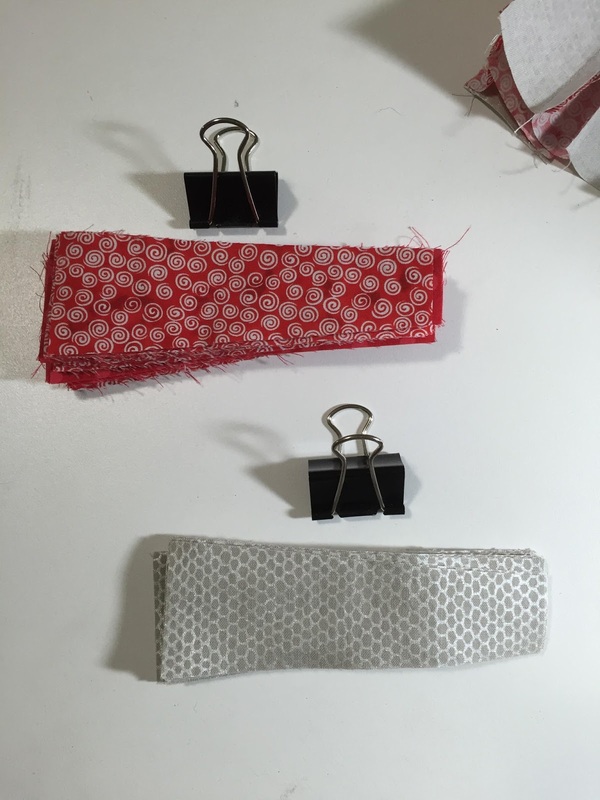 Clip them all together (so that you can take them to sewing days with your friends!). 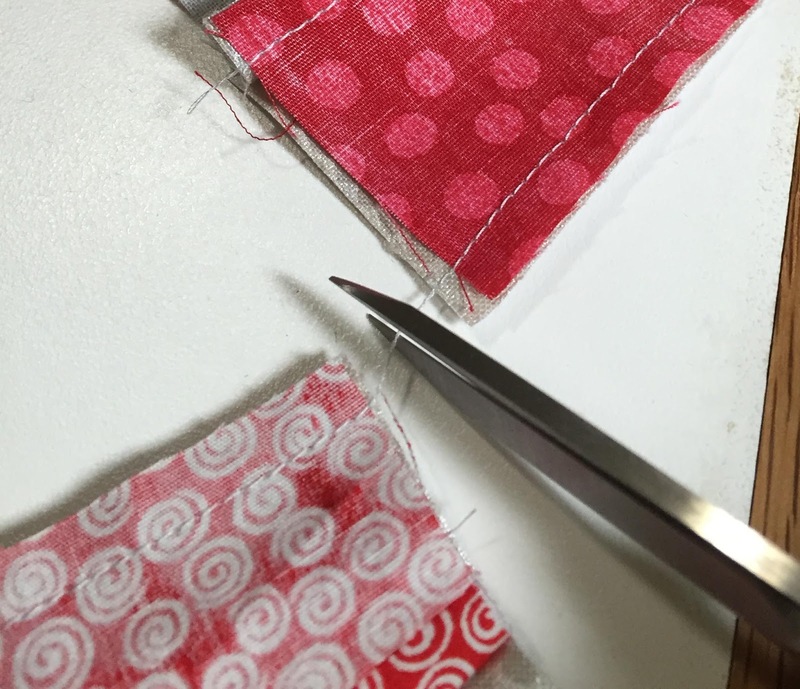 When you're ready to sew, you just pick the top pieces up and sew them together. The picture above shows how close you position the next piece so that you don't waste a lot of thread and time. The next picture shows you how the pieces are all chained together so that you can reach and get the last set, clip the threads and keep on going. The last picture shows how to clip the threads between the pieces. See how easy it is to chain piece! 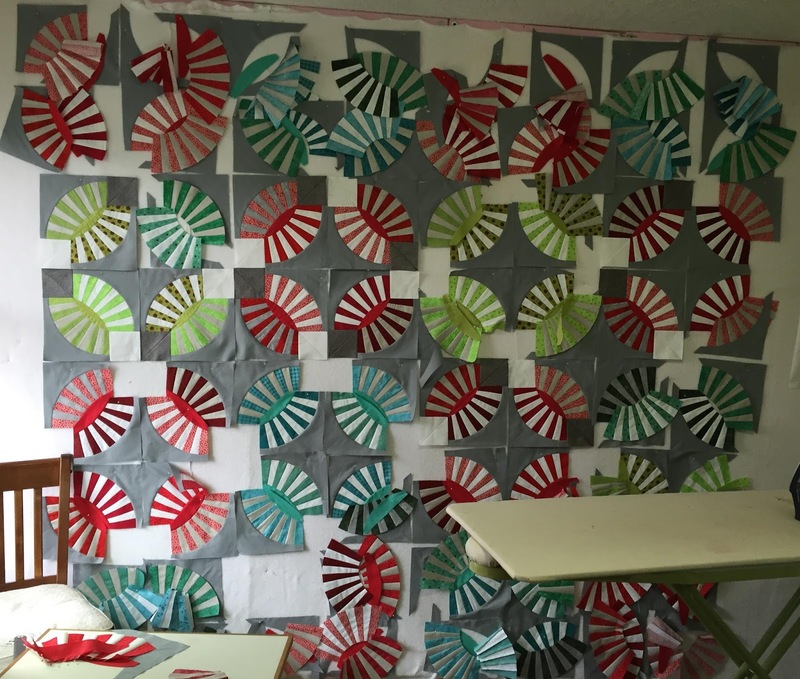 Joanne, I love seeing your quilt grow and the first thought I had was--wow! look at all the teal--she must like that color almost as much as lime green.